How do architectural projects like The 606, the Riverwalk, Maggie Daley Park, and the Navy Pier redesign affect the greater city? Architecture sometimes affects not only the experience of users within the structure but reshapes a community’s infrastructure. In this discussion, we’ll look at how the work of a few designers is changing Chicago and other cities. Join Gina Ford (Riverwalk), Matthew Urbanski (The 606, Brooklyn Bridge Park), Andrew Vesselinovitch (The 606, Riverwalk), and Sarah Weidner Astheimer (Navy Pier) for a conversation on how architectural projects can redraw urban boundaries. 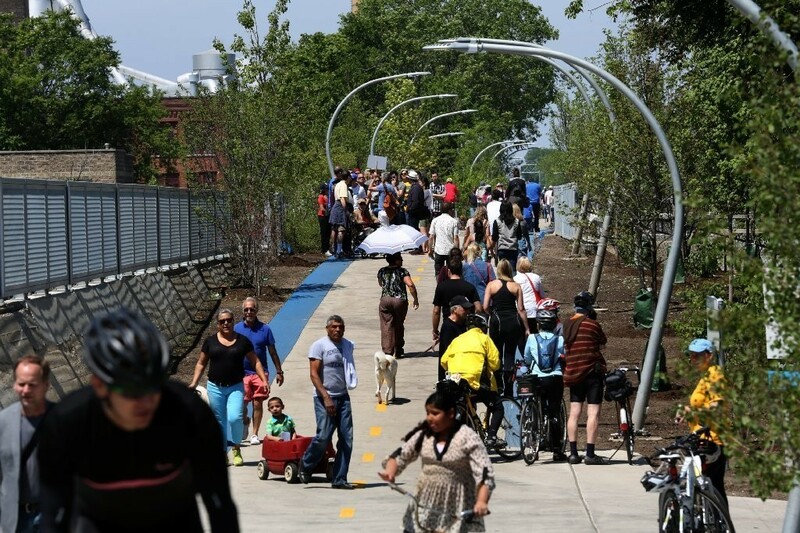 After the discussion, we’ll take a walking tour of The 606 led by Jean Linsner and docents from The Trust for Public Land and gain a deeper understanding of how it’s reshaping the adjacent neighborhoods. This program is presented as part of CPL’s One Book, One Chicago. This facility is wheelchair accessible. If you require any other arrangements to fully participate, please let us know – email info@ilhumanities.org or call (312) 422-5580 at least 72 hours prior to the event.